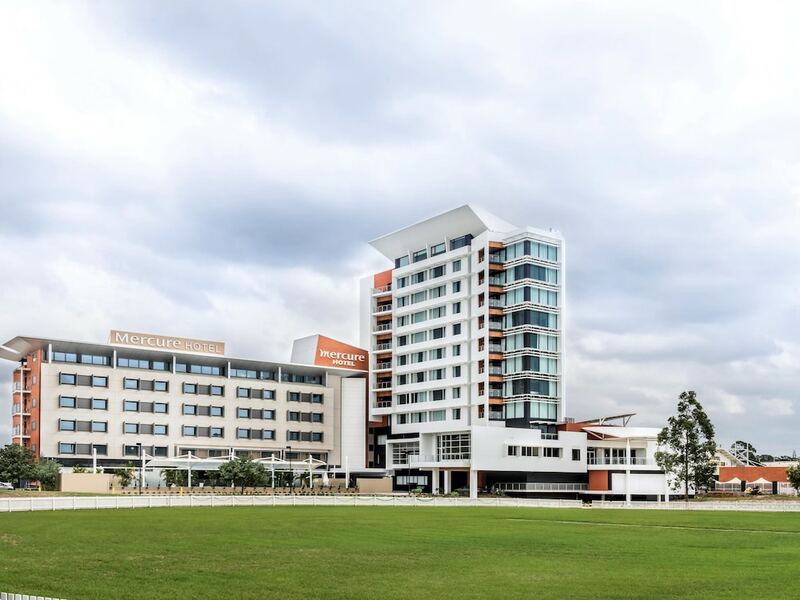 Located in Prestons, Mercure Sydney Liverpool is connected to the convention center, within a 10-minute drive of University of Wollongong, South Western Sydney Campus and Western Sydney University, Liverpool Campus. This 4.5-star hotel is 4 mi (6.4 km) from Liverpool Hospital and 14.5 mi (23.3 km) from Wet'n'Wild Sydney. Mercure Sydney Liverpool features an outdoor pool and a fitness center. Dining options at the hotel include a restaurant and a coffee shop/café. A bar/lounge is on site where guests can unwind with a drink. Public areas are equipped with complimentary wireless Internet access. A 24-hour business center is on site at this 4.5-star property. This luxury hotel also offers an arcade/game room, concierge services, and complimentary newspapers in the lobby. Onsite self parking is complimentary. Mercure Sydney Liverpool has designated areas for smoking. The Atrium - This restaurant serves breakfast and dinner.